We already know that more data has been submitted to Cambridge Analytica than originally thought. In the meantime information about users from Poland came out and they fell victim to a bad application collecting the data. The function is available on Facebook. 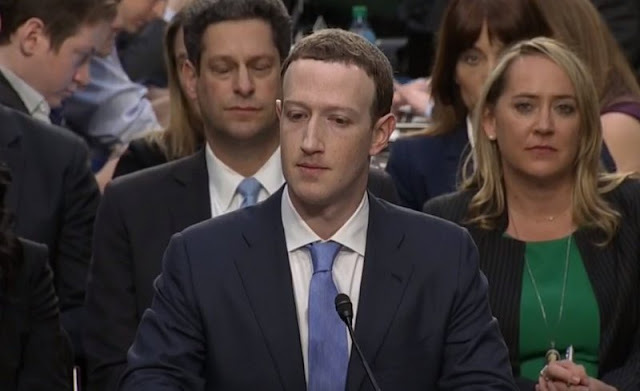 hearing of Marek Zuckerberg before the US Congress lasting over five hours has received wide coverage in the media. The data leak may affect about 57 thousand. people using Facebook in Poland . The website of Marek Zuckerberg has just released a special page where we can check whether our data have fallen into the wrong hands. How to check if your data leaked into Cambridge Analytica Facebook has announced that people exposed to data leakage will receive appropriate notifications after visiting the site in the browser or directly on the smartphone. You can also visit a special site (of course, you must log in to your FB account) where the relevant information will be displayed. In the absence of threat displays the message: We have established that your data from Facebook have not been communicated by the company Cambridge Analytica application "This Is Your Digital Life". At the same time Facebook announced that analyzes all applications on our platform and performs a full audit of applications whose activity raises suspicions. If it turns out that some developers have abused identification information, the application will be blocked.